Well, it seems Google had a crazy hat day on some Fridays. 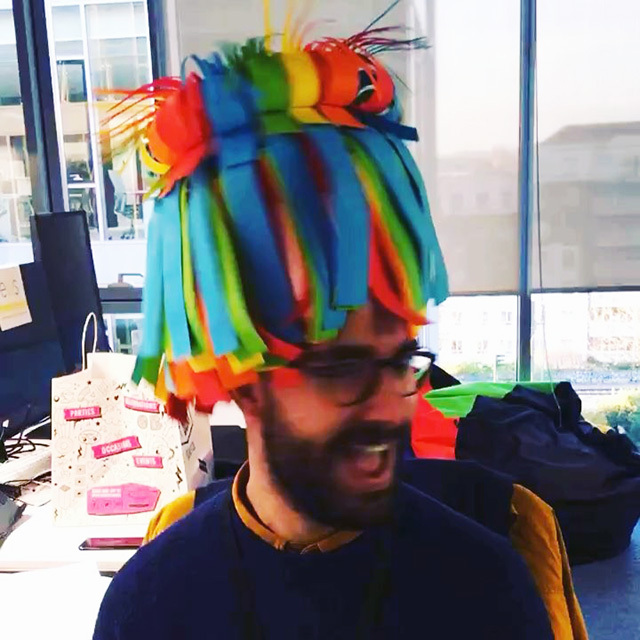 Here is a picture from Elaine Jones showing her coworker in the Dublin office where some crazy Googlely hat. I posted the video from Instagram below so you can see it in action?